Just a couple weeks ago we brought you news that Google had reached an agreement with AT&T, Verizon, and T-Mobile to replace their Softcard with Google Wallet. 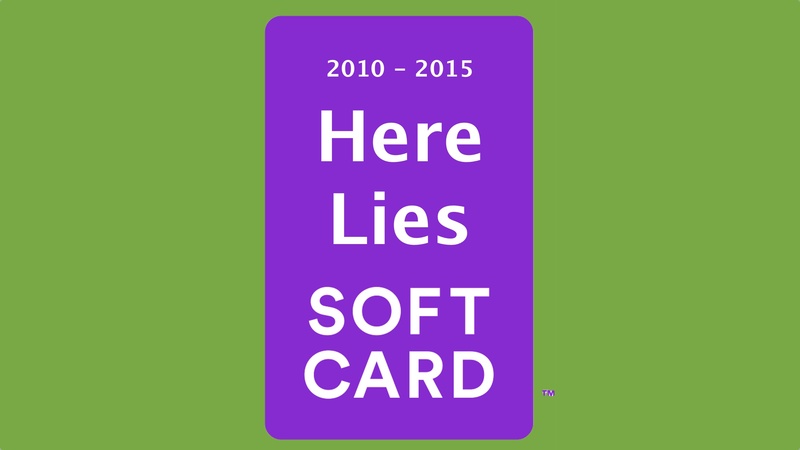 We wondered what would happen to Softcard and now we know. It’s being put to pasture and soon. Softcard will officially shut down on March 31st. It gets worse for Softcard customers. As it turns out, the deal was strictly for technology. No Softcard information will be transferred as part of the deal. None of your payment or loyalty cards will be added to Google Wallet, they’ll have to be added manually. Your Softcard account will simply be shut down with the service at the end of the month. Windows Phone users will also lose access, but without replacement. If you’re affected by this, we’d like to hear from you. Give us a shoutout in the comments or let us know via our social media accounts. Once I was able to get Google Wallet on my Galaxy S4 (starting about a year ago), I’ve been gravitating away from SoftCard née Isis. Google Wallet is easier to use and available at more places. I had to get an AmEx Serve account (initially) to use SoftCard; Google Wallet just uses my existing debit cards. I do not use any of the loyalty cards SoftCard supports. Granted, some of the “special deals” were nice (a local theater chain offered large popcorn tubs for $1 if you paid with Isis), but overall I stopped using it. The only transaction I’ve done over SoftCard in the last 8 months was at a vending machine at work, to prove a coworker wrong who was touting Apple Pay and claiming that it would be years before Android caught up. Google Wallet FTW, says I.